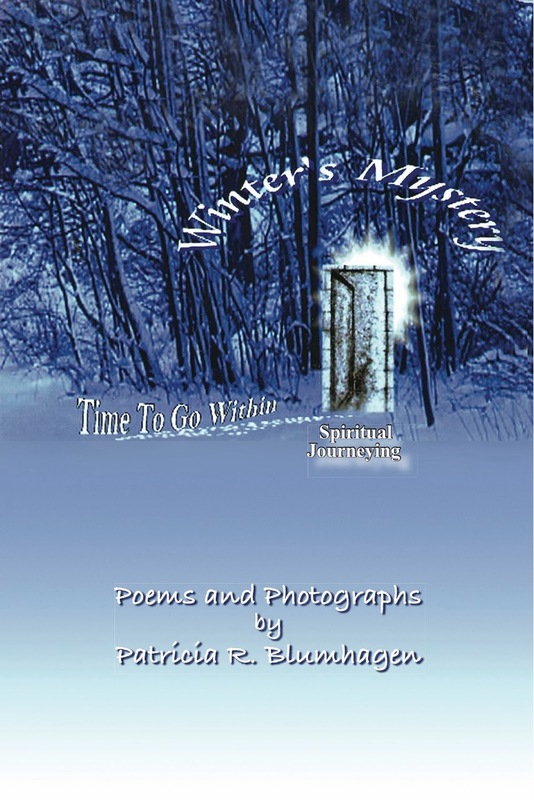 Patricia's Blog: "Winter's Mystery-Time To Go Within-Spiritual Journeying"
"Winter's Mystery-Time To Go Within-Spiritual Journeying"
Tells the story of my poetic memoir while I traveled the road towards the odyssey of becoming. This poetry gently asked, you, the reader: Who am I? What is the purpose of life? It calls, to open the door into the Divine Self, while, releasing fear and embracing freedom. The poems and photographs convey to the reader that there is a way, even when none seems available, and to follow with fortitude the inner knowing that speaks within the heart.